I shall be taking S T E P Z to the printers on Friday. It will be available online (free) and as a limited edition hard copy by mid-June. Please click here for the overview and here for a rundown of the upcoming contributions. Welcome to Stepz, the new zine for and by those interested in psychogeography and in critiquing, appreciating and debating urban space. 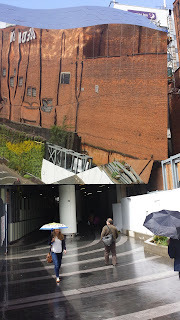 I started Stepz following the completion of Walking Inside Out: Contemporary British Psychogeography (2015). I felt there were voices that I was unable to represent therein, for various reasons. Stepz does not have the strict editorial rules applied to it that would be the case in an academic article, textbook, or even in a novel. It is, what you might call, ‘editorially restrained’. When researching for Walking Inside Out I looked at some of the 1990s psychogeography-related zines and alternative texts (like the London Psychogeographical Association’s newsletters and Tom Vague’s ‘Wild West’ zines). These have historically been a part of psychogeography, going back to the sixties and the Situationists – for example, their 1966 pamphlet ‘On the Poverty of Student Life’. 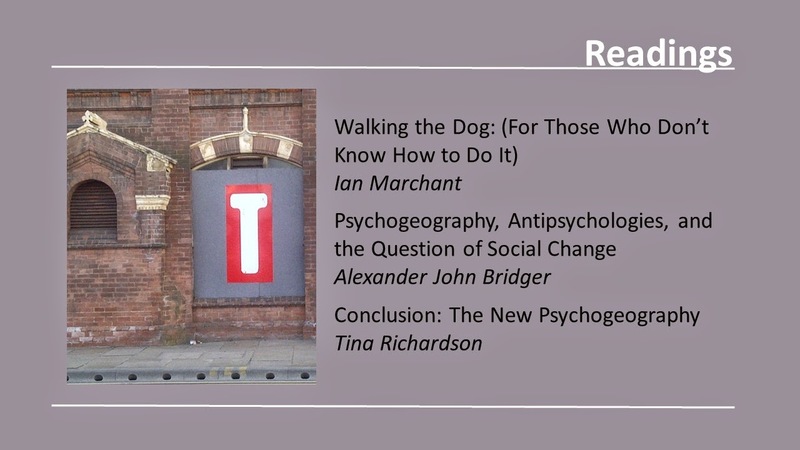 If, how I have suggested in discussions about what I’ve termed ‘the new psychogeography’, there is a current resurgence, then it needs to be marked in some way that represents an alternative mode of publication to the mainstream one. Please note: this pilot edition is in digital and limited edition hardcopy format. While I am happy for people to circulate and copy the magazine as much as they wish, all the authors gave their creative time for free and the magazine is un-copyrighted and not run as a profit-making publication, so please keep that in mind. I have also added a hidden symbol to the hard copy version in order to track its propagation over ley lines. 1 - A perambulatory hinge is not a ley line! A study of leys taught me that the current general idea of what ley lines are is pretty off base. But in researching the phenomenon, some truly intriguing earth energy mysteries can be found. There are fairy paths, corpse roads, geister wegen, and a slew of other supernatural linear features on our planet where people do come for spiritual experiences, and there are "roads" that ghosts have been reported traveling down repeatedly. 2 – Perambulator hinges are subjective, but come into being collectively! 3 – Perambulatory hinges can be best explained through the concept of ‘subjecting’. In an Althusserian sense the object actually subjects you. It recruits you through its effects. It may not recruit you in the absolutely ideological way expressed by Louis Althusser, but nevertheless it is a cultural effect, so in that sense it may still be ideological. So, like the policeman in Althussers example in ‘Ideology and Ideological State Apparatuses’, the urban décor hails you – well it hails anyone, but you feel it is hailing you, specifically – and you, sort of, do this 180 degree turn that Althusser says occurs at the point of subjection. Consequently, you recognise the calling of the phenomenon in its personalised hailing of you. The object, in its expression which is directed at you, appears in its obviousness: it really is calling you. Althusser explains that this is how ideology is “endowed with a material existence”. The effects of the response to the calling retroactively produces its cause through subjecting the individual. Therefore, the individual responding to the urban phenomenon, as subject, is both the cause and effect. This is the effect of the urban apparatus of which the individual is subjected, but it is also what produces her/him as the psychogeographer in that moment, as the cause of the effects. 4 – You cannot see a perambulatory hinge. 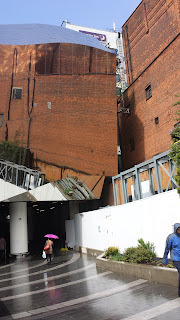 Please click here for another post on Birmingham. 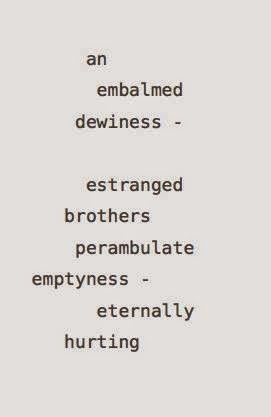 I will be further fleshing out the concept of perambulatory hinges in a future article. The World Congress of Perambulatory Sutures took place in the North of England this last week, culminating in two extraordinary events, one held in Huddersfield and one in Leeds. I use the word ‘extraordinary’ here in the definition of both ‘unusual or remarkable’ and also ‘specially convened’. 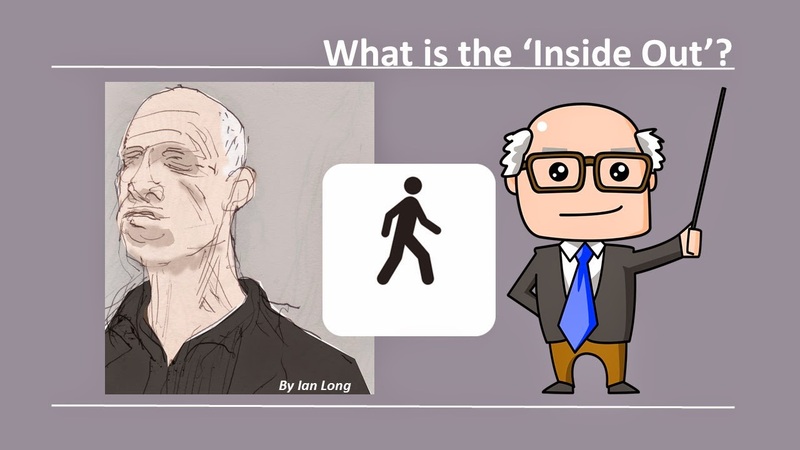 These events were ‘Class Wargames’ at the University of Huddersfield (13th May 2015) and ‘The Inside Out of Walking Inside Out’ at the University of Leeds (14th May 2015). 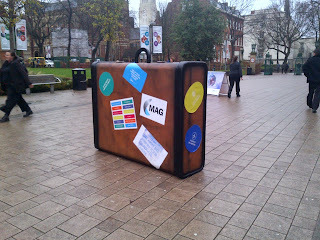 Psychogeographers travelled through time and space for these events. 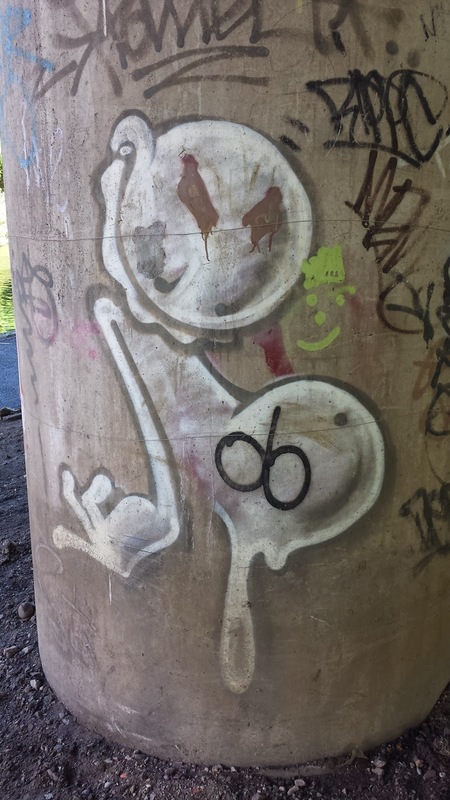 From as geographically far away as Paris, as temporally distant as the London Psychogeographical Association of the 1990s and as virtually far away as the online Outbounding forum, The Art of Exploring. Dr Alexander John Bridger arranged for Fabian Tompsett, Richard Essex and Dr Richard Barbrook to introduce Class Wargames to interested parties: gamely academics, itinerant psychogeographers and general ne’er do wells with a curious nature. Class Wargames is based on Guy Debord’s ‘The Game of War’ and in his honour alcohol was included in order to help channel the God of the dérive. Sides were taken, swords were drawn, turrets were stormed – all in the name of class and psychogeographical boundaries. 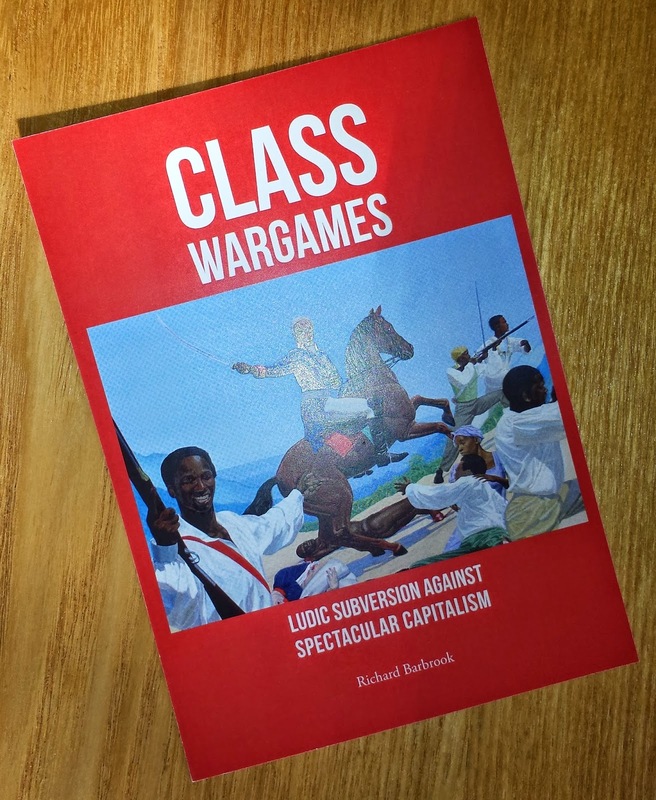 Anyone partaking in Class Wargames may put themselves forward for ‘activist’ or ‘associate’ status once they have played. However this title can only be tenuously attributed to those who drank so much they could barely even pronounce ‘Debord’ and also those whose attention span was equivalent to that of a single-celled organism. The 8 hour long game culminated in a win for the underdogs – or rather underdog as by this time three of the four players on that team had found the Harold Wilson statue and spent the last two hours of the game discussing the Bolsheviks and feeding him crisps. For some, the event was a dérive in itself, as they walked from Huddersfield through the night straight to the event that took place the next day at the University of Leeds, sleeping under a bush in the Vice Chancellor's garden till woken by maintenance staff at around 7.00am. At ‘The Inside Out of Walking Inside Out’ Dr Tina Richardson not only led us on a wander through her new edited volume, but also through the scene of British urban walking in the 21st century. Plying the audience with wine gums, marshmallows and chocolate buttons, she attempted to bribe the audience into buying the book by giving away key rings. One of the audience members stormed out half way through in protest at “the lack of alcoholic beverages at a freakin’ book launch” and threw his key ring at Richardson, knocking off her trilby. Richardson had to pass over to Dr. Bridger to continue reading while she snorted from her Bach Rescue Remedy teat pipette in an attempt to recover. Richardson was her usual contentious and unagreeable self, throwing terms like ‘post-Sinclairian’ into the mix in order to start an argument, at the same time alienating all the literary psychogeographers in the audience and the London-based ones in one fell swoop – not least Sinclair himself. She explained ‘the new psychogeography’ to everyone, stating pretentiously that since she hadn’t got too much time left before she retired “one must strategically carve out a place for oneself in order to become part of psychogeography’s heritage”. The talk ended with the swearing in of a new World Congress secretary and treasurer, followed by an indoor psychogeographical trip, led by Dr Andrew Evans, around the School of Geography. We, The World Congress, believe that the cumulative effect of the geographical concentration of these two events in the week beginning 11th May 2015 has probably shifted psychogeographical ley lines across the UK, or at the very least at significant points north of Birmingham. It is also quite likely that at what are known as ‘perambulatory hinges’, such as the one located at the University of Loughborough near the brutalist halls of residence (Towers) and also that situated on the roundabout near Burley’s Flyover in Leicester, have been totally thrown off orbit! "Lest we forget to mention, there was a special guest appearance by David Bollinger, Director of the West Yorkshire Association for Psychogeography at the Class Wargames event at the University of Huddersfield. His contribution was vital to enabling the Austrians to win the battle of Marengo, thus turning history ‘on its head’ and preventing the French from winning!" 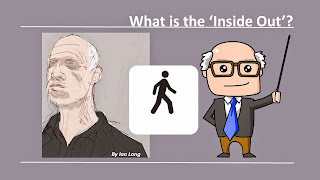 Below are the contents for Walking Inside Out. For the full details on the book by the publisher, please click here. Chism interviews Tina Richardson about her psychogeography bucket list. Davies talks about hostile architecture, surveillance and social control. Emmanouil carries out an urban expedition with her daughter, turning it into a collage. Lawrence contributes a Ballardian fiction on Southampton’s underbelly. Max Reeves illustrates McDevitt’s essay on Yeat’s London, with his photographs. The Psychogeography Commission provide lyrics on the experience of walking in the city. Reeves will be including a drawing of urban space. Evoking William Blake, Rogers offers us a history of Caledonian Park. S.: discusses place and how memories persist over time and space. In his essay, illustrated by Ian Long, Seal talks about how his health problems have impacted his mountain walking. Standing provides a critique of the brutalist architecture in Birmingham. Waters offers a textual, cut-up style map of Leeds. 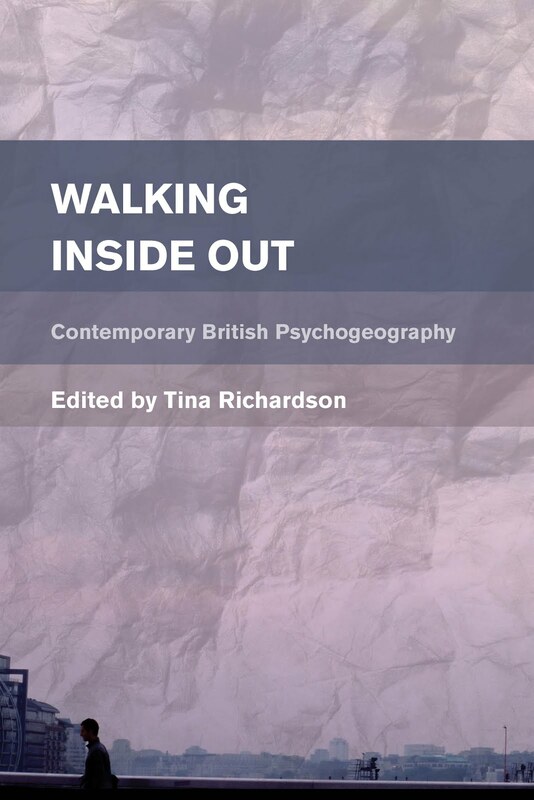 This is the first talk in the series and preempts the release of Walking Inside Out: Contemporary British Psychogeography (Rowman and Littlefield International) in July. The talk introduces the premise behind the book, the ‘Inside Out’ of the title. Tina will be talking about why she thinks the book is timely and how it straddles both the fields of academia and creative writing. 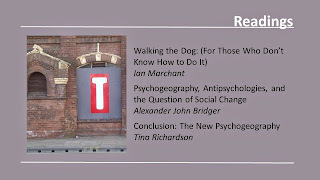 She will be reading from chapters written by some of the contributors and also talking about ‘the new psychogeography’. Flyers will be available on the night which give you a discount on the purchase of the book. 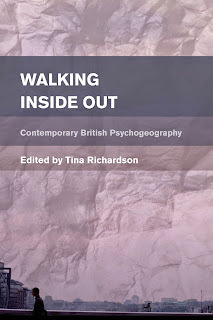 Tina Richardson is an independent scholar and psychogeographer. She became interested in psychogeography in 2009 when researching the Situationist International and set up Leeds Psychogeography Group that year, running it at the university till 2013. She is now a writer/editor and guest lecturer. Walking Inside Out is her new edited volume following Concrete, Crows and Calluses which she self-published in 2013. Tina is currently editing a magazine called Stepz, which will be published in June. Once at the University of Leeds, go to Chancellor’s Court. Chancellors Court can be seen between buildings 88, 89 and 84 on this downloadable map: Click here for Map. To get to the room, go to the middle of south side of Chancellor's Court: Click here for google earth view of Chancellor’s Court. There you'll find a set of (as yet unmarked) sliding doors, which are the entrance to the new School of Geography complex. Go through and into the foyer; the room is on the left.